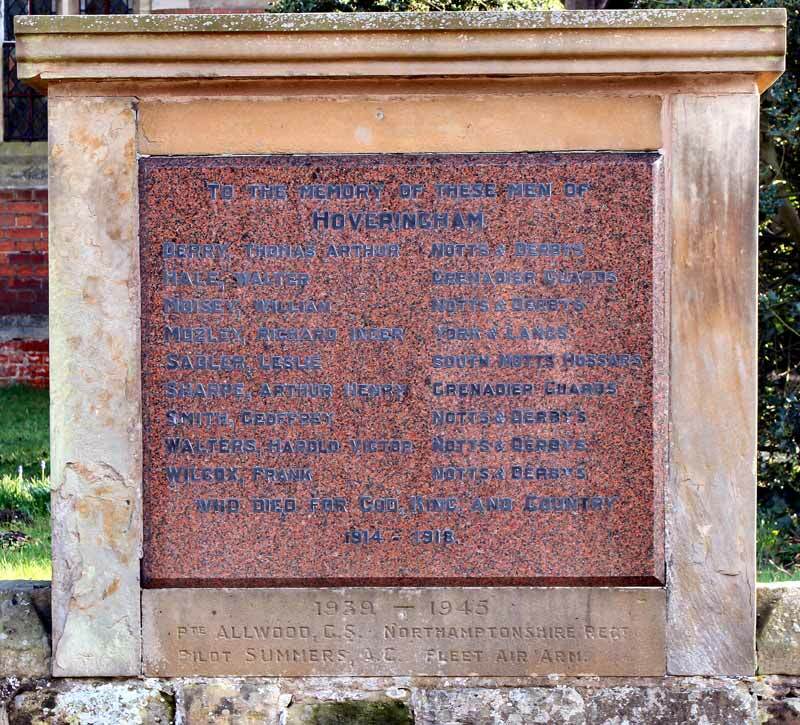 A memorial commemorating the men of the parish who gave their lives in the two world wars of the twentieth century is set on the top of the northern boundary wall facing the village main street. It has a rectangular limestone surround, with an inset India Red granite panel inscribed with the names of the fallen. It is capped by a moulded limestone pediment. It is easily read from the street and is in good condition. It was originally erected after the 1914 -1918 war for the nine soldiers who would never return to the village. The soldier and the airman who lost their lives in the Second World War were added below on the limestone sill of the memorial.